Can you find what’s wrong with this picture? Totally Kids fun furniture & toys has both doll furniture and kids furniture built to withstand the rigors of pre-school all the way to college. Heirloom quality doll furniture that can be handed down from generation to generation is a great choice. So, get that big man off of the doll’s bed and let the little girl play. There are many big & tall man beds available too. Copying their parents and other people around them from an early age with pretend play helps children develop their expressive, imaginative, social and language skills. 0–18 months +: As babies begin to investigate their new world of shapes and textures and develops essential skills, they need a snuggly security companion. 18 months +: As babies transition to the toddler years they begin to imitate their parents and take care of the “baby” (doll) the way parents do. 2/3 years +: At this age they begin to act out many real-life situations with their dolls. They may become big sister, big brother, father, mother or babysitter. 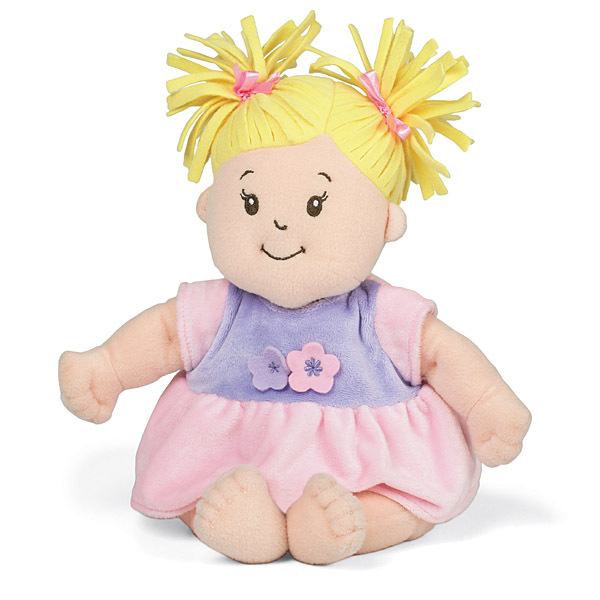 Baby dolls encourage nurturing play and inspire memories to cherish forever. By playing with dolls, both boys and girls will enhance their fine motor skills, as well as their cognitive ability. While creating new scenarios, children get more creative. Their imaginary boundaries will start to expand. The more they play, the more their cognitive faculties will begin to grow and blossom. Kiss a frog and it will turn into your prince. I know a few women who need to give this a try. If it does not work the first time, try try again. With Planet Frog you can grow some tadpoles into kissable frogs. Now you have a new science experiment. JK….. Planet Frog is a place where you can watch live tadpoles magically transform into frogs. Watch a live tadpole morph into a frog. Watch as your frog swims in its own pond and explores the surrounding rain forest habitat. Learn why frogs play an important role in the environment and the world in which we live. Features a vented see-thru lid, rock hideaway that provides shelter, pond with underwater viewing area, built-in magnifier/feeding cap, and lush habitat surrounding. Includes a break resistant and escape proof design, an easy to clean pond, and guide to Planet Frog that has feeding and care instructions and fun facts about the fascinating world of frogs. Leopard frogs are indigenous to the North American continent. Start the study of frogs at home with Planet Frog. A group of fish is called a School of Fish. A group of geese is called a Gaggle of Geese. A group of sea gulls is called a Flock of Sea gulls. A bunch of cows and bulls is called a Herd of Cattle. But what do you call a group of frogs? Fishie Color Crayons DIY Do you have shoe boxes, tins or bags filled with with brightly colored broken nubs and stubs of color crayons? You can transform those old crayons into little fish crayons like the ones pictured from make it and love it. All you need is a silicone mold in a fish form or another favorite shape, plus a low temperature oven. To begin, remove the paper wrappers from the crayon pieces. Making this step easier, you can place the crayons in a bowl of cool water. After about 20 minutes, the wrappers will loosen. Remove the crayons from the bowl and scrape off the remaining paper, or rub them off with paper towels. Preheat the oven to 300 degrees F or lower. Place the molds on a baking sheet and then stack the crayon pieces in the molds. You may have to break some of the crayons into smaller pieces so that you can fill the molds nearly to the top. Be sure to leave as little space between the crayons as you can. Encourage kiddos to create color combinations; like a blue-and-white blend for drawing the sky or a mix of reds and oranges for coloring sunsets. Just close your eyes and let your kids choose colors that will go well together for new imaginative color combos. Next, bake the crayons for 5 to 8 minutes, or just until they are melted enough to blend the colors and hold them together. Color caution: baking them until liquefied could create just one dark color. Be sure the room is well ventilated whenever crayons are being melted. Overheating wax crayons during the melting process may release unpleasant fumes. An adult should remove the molds from the oven placing them on a heat-resistant surface. Let them cool for 30 to 60 minutes depending on the size of the mold. Remove the crayons from the molds. If they do not pop out easily, tap them gently on the counter. Something’s a little fishie with this week’s recipe for fun. Now, start coloring!